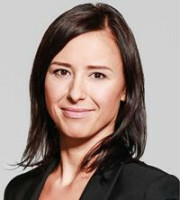 Marta Kawczyńska is a Polish patent and trademark attorney. She is also a qualified European patent attorney and professional representative before the EU Intellectual Property Office. She joined POLSERVICE in 2002 and has been a member of the firm’s supervisory board since 2015. Ms Kawczyńska specialises in protection and enforcement of biotechnology, life sciences and pharmaceutical inventions, including drafting and prosecution of patent applications and supplementary protection certificate applications for medicinal products and plant protection products. She is also experienced in patent litigation matters. She represents clients before different Polish and international authorities, including the Polish Patent Office, the European Patent Office (EPO), the World Intellectual Property Organisation and various administrative courts. She advises both global companies from pharmaceutical and biotechnology industries, and domestic clients, including universities, start-ups and small and medium-sized enterprises. Ms Kawczyńska is a member of the Council of the Institute of Professional Representatives before the European Patent Office, board member of the Polish National Group of the Association for the Protection of Intellectual Property and member of the Union of European Practitioners in Intellectual Property. From 2009 to 2017 she was member of the Regional Council of the Mazovian Region of the Polish Chamber of Patent Attorneys. Ms Kawczyńska graduated from the Intercollegiate Faculty of the Medical University of Gdansk and the University of Gdansk, where she specialised in molecular medicine and genetics. She conducted research on the molecular background of different cancers and the development of molecular diagnostic and prognostics tests for some viral and cancer diseases. Ms Kawczyńska completed postgraduate studies in industrial property law at the University of Warsaw, as well as a course on European patent law organised by the Centre for International Intellectual Property Studies at the University of Strasbourg. She also participated in different internships at the EPO in Munich, including an internship at the EPO Technical Boards of Appeal.